Be a Media Spokesperson for ECT Victims | ECT Justice! It is time for our voices to be heard! We are looking for electroshock survivors, and immediate family, to share their experience with media. We get media requests for the names of local people who will share their experience on what it is like to receive ECT, and then live with damage it caused. 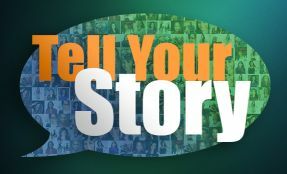 This could be your chance to share how ECT has effected your life. Perhaps hearing your story will help prevent others from suffering the consequences of electroshock. We will not share your information without contacting you first. With your permission, we will provide your contact information to the media. The media person will then contact you directly. We want you to feel comfortable with any media contact. However, we are not directly connected to the media. You are in control of your media interaction. You decide whether or not you want your identity revealed. You decide what you will share. You decide whether you will allow yourself to be video taped or recorded. Complete the form below to indicate your willingness to share your experience. By speaking up, you can help counter the lies used to justify electroshock, and misinformation used to minimize its risks.